In my early days of writing, I was given to putting forth quite a few conspiracy theories. Lately I have tried to stick to opinion and fact for my post, until tonight. 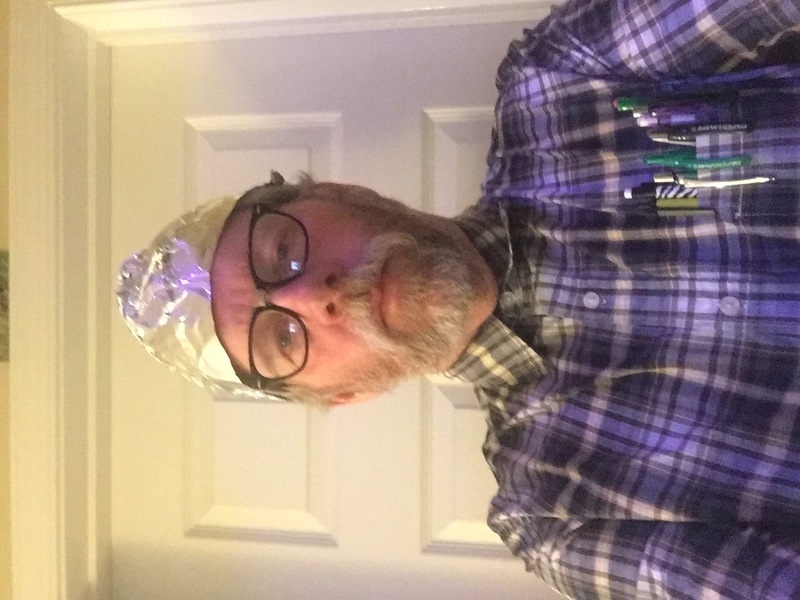 My tin foil hat is firmly in place. So here we go. It is no secret, that here in the United States currently, we are facing a crisis, one that I think is real. One that could have long, and lasting effects upon the policies, and the people of this nation. The threat comes in the form of religious extremist attacking American citizens, not half way around the world, but right here on our home soil. The attacks in Paris struck a nerve, and closely followed by the attack in San Bernardino has put the American people on high alert. Of course, some politicians are taking advantage of the fear, and concern these attacks have spawned. Of course, the threat of attacks are cause for concern, but in some cases we are seeing and hearing people demanding action from our government to assure our safety. This I believe could actually be a larger threat to our way of life, and our freedoms. Since the San Bernardino killings, by the religious extremist, there has been no shortage of people calling for everything from stricture gun laws, to actually banning an entire religion from entry into this once free nation. So what is the danger here? Of course the people calling for more gun laws following the attack, are many of the same people who have always been calling for more gun laws, nothing new here. They still believe that if we simply stop selling this type or that type of gun, if we just limit the number of bullets a gun can hold, if we make it harder for lawful gun owners to obtain guns, then we will somehow stop the killings. Not much to say about that, except, it won’t work, in my opinion. On the other side, you have people who mostly identify themselves as conservatives, who are calling for more laws as well. The difference is, they want to restrict people and ideas. They are following the lead of some politicians such as Donald Trump, who are calling for the banning of immigration of all Muslims. So the real danger to our freedoms, as I see it, is what if those who are now saying we shouldn’t ban people based on religion, but who want tougher gun laws, are simply play acting? It is easy to see, every time President Obama says we must stand on our principles in regards to the idea of banning immigration based on religion, the far right shouts louder to do just that. What if at some point President Obama and those who feel as he does about gun laws, suddenly change course? What if they begin to look for compromise on how to handle the question of immigrant Muslims? What if, they are willing to restrict the immigration of Muslims, if those on the right demanding it, will only come around on gun laws? Maybe we just ban Muslim from Middle east countries, if at the same time we ban assault rifles and large capacity magazines? I think the far right could be playing right into the hands of the gun control proponents, but even worse, they are not just giving up their freedoms, and setting the stage to have their own religion attacked in the future, they are demanding it. But the far right is not alone in this. Those who want stricture gun laws believe that we can infringe upon a right just a little bit and it will be alright. They think that they can prohibit one person from owning a certain type of gun, and still be allowed to own their home protection, or their hunting gun. The problem is, when you once infringe upon that right, you have set the precedent to allow the further infringement of that right in the future. Those on the right, who think you can ban one religion, while protecting the freedom of another religion, are just as foolish. For once you allow one religion to be singled out for prosecution, you too have set a very dangerous precedent. The phrase, “careful what you wish for”, keeps coming to mind. Keep hollering for more security, keep crying for more restrictions, keep allowing your fear and emotions to rule your thought process, keep demanding that government do something, and it will. When we look around, and only the criminals have guns, when we look around, and all religion is banned, when we realize that our freedoms were not stolen from us, that we demanded that they be taken, when government has done exactly what we thought we wanted, when security is at the cost of freedom, then it will be too late. 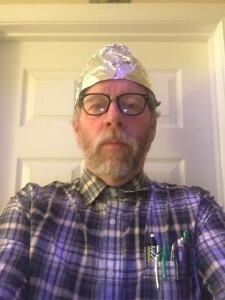 15 Comments on "My Tin Foil Hat Moment"
Frank, do you like facts? I think Trump was calling for a moratorium on Muslims entering the country, not a “ban”. backlogged, and a moratorium is one way of dealing with the problem. On the other side, you have people who mostly identify themselves as conservatives, who are calling for more laws as well. Until the “good Muslims” of the Middle East can wrest control of their region from ISIS, the Taliban and other assorted lunatics who take the Koran’s call for jihad literally, they should be forbidden entry into the U.S.
Part of the way our brains are wired is to respond with suspicion of things that are “different”. But if you look objectively at the demographics of mass shootings in this country, the “crisis” is not what subjective knee jerking might lead one to believe. There have been 353 mass shootings in 2015, and you can check shootingtracker.com to bear that out. Dylan Roof, Chris Harper-Mercer (the one in Oregon) and Robert Dear have a higher body count than the San Bernadino shooters, and none of them are Muslim. But we overlook those because they are just “ordinary violent insane people” instead of “Muslim violent insane people”, as if it matters to you what motivates the nutjob who is going to shoot you dead at a shopping mall. ISIS terrorists kill more Muslims than anyone else. While, yes, radical Muslims carried out the Charlie Hebdo shooting, why do we not also note that one of the police officers killed fighting the Charlie Hebdo attackers was himself a Muslim who risked and paid with his life to protect his fellow citizens. FBH, a moratorium is simply a temporary ban. You’re splitting hairs. Also, once in place it is quite easy to extend. Rick, you again ignore the fact that not all of the radicalized Muslims are from the Middle East, so we are back to banning based on religion. I also find it Hilarious that you are proposing the use of executive orders. Hahahahaha! Thinking about setting up a kiosk outside the next Sussex GOP meeting. Maybe we need more citizens like we need more AR 15’s? Funny how ND and WY are empty. Pretty high percentile of gun ownership. I have yet to hear that even if we take in half their population, what is the plan for the region. This is the same as giving money to a drug addict and not sending them to rehab. I also find it Hilarious that you are proposing the use of executive orders. Hahahahaha! What are you “laughing” at- yourself? As I posted, 8 USC §1182 is current federal law. As usual, Frandora finds himself ensconced with the Socialist-Democrats and his “liberal” blog friends on this important issue. Polls show that the GOP electorate- the people Frandora and Delaware Right claims to represent (and that is “hilarious”)- side with me. Are there snow flakes falling on this site or am I having eye issues? Read the law before you cite the law. 8 USC §1182 does not list adherents of any religion, including Muslims, as a class of excludable aliens. Trump talks about building a wall and deporting illegal immigrants , and now illegal immigration is at the forefront of political discussion. Trump talks about a moratorium on Muslims entering the country, and 70,000 Muslim clerics subsequently issue a fatwa against ISIS……. coincidence? Trump is already working “the deal”, and it’s showing positive effects, and he’s not even the president yet. I’m sorry, but since when can congress give such powers to the executive branch? Seems to me that should require an amendment. But of course when it works for you, it’s okay, right? So you’re good with one person having that much power? Hyporick! And since it does not address religion, then you would have to stop immigration from all nations to stop all Muslims. Ah, freedom as only Rick can see it. Enjoy it Rick when they come for you.